ELEKTRA Active harmonic filters provide a complete solution for facilities with dynamic variations in the load harmonic distortion, load imbalances and single phase loads with high level of current harmonics on the neutral wire. ELEKTRA Active harmonic filters are connected in parallel with the load or facility. They measure and analyze the harmonic content of the load or line currents and inject a compensating current into the grid to cancel the harmonics. As a result, the harmonics on the line currents are eliminated and the neutral wire is off-loaded as illustrated in Figure 1. ELEKTRA active harmonic filters guarantee less than 5% current total harmonic distortion (THD-i) even in facilities with highly dynamic and harmonic loads. Active harmonic filters also help dynamic power factor correction with %100 inductive and capacitive support. System reacts to load changes withing 25µs. ELEKTRA active harmonic filters are available in two different forms: wall-mount and floor-mount. Wall-mount configuration is recommended for filters with 70A or less current rating. For current ratings above 70A, floor-mount panel is the recommended solution. 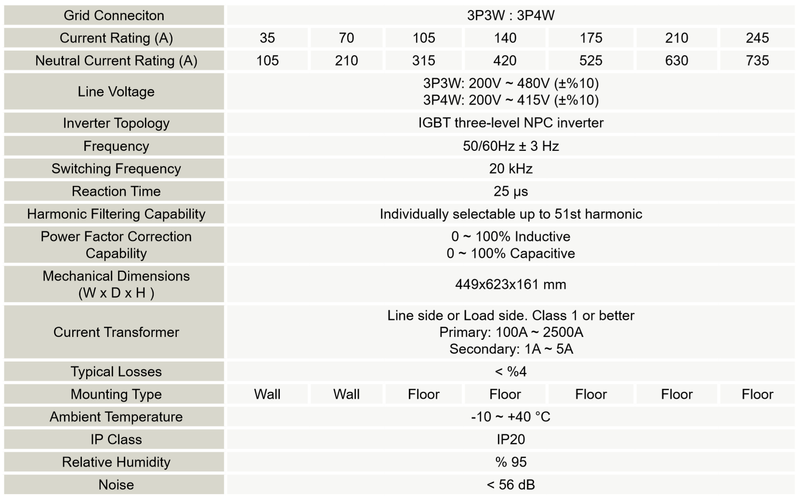 Wall-mount products are comprised of up to two power module and a single display/communication module as shown in Figures 2 and 3, respectively. Floor-mount configuration is highly modular with holding up to seven hotswap-supported power modules within one cabinet and suppoting unlimited number of parallel units. ELEKTRA active harmonic filters are made in Turkey. Its modular structure enables scaling up easily. No limitation on the maximum number of parallel units. Hotswap supported on floor-mount rack type configuration. Selective harmonic filtering up to 51st harmonic with each harmonic individually selectable. 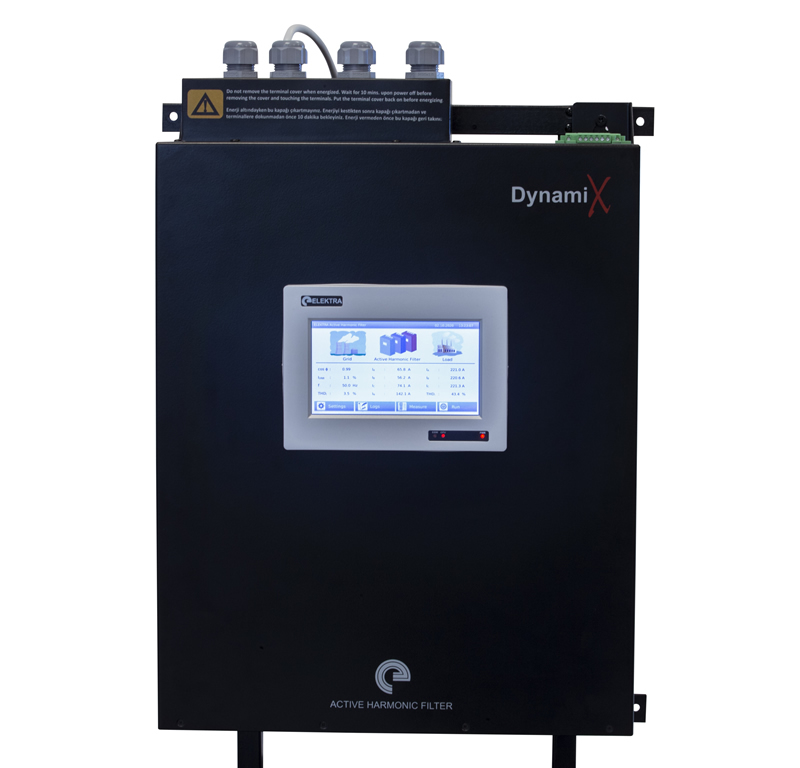 Ultra-fast reactive power support for power factor correction. Immune to grid interferences, overvoltages and faults.